Successfully Added Car Rearview Mirror - Built-in 4.3 Inch Monitor + Camera to your Shopping Cart. Replace your normal rearview mirror and say hello to reverse maneuvering and parking made easy with this Car Rearview Mirror with Built-in 4.3 Inch Monitor and Camera. 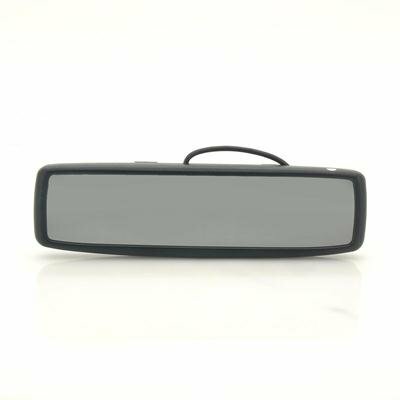 This convenient Rearview Mirror Monitor conveniently fits over your existing rearview mirror to automatically display an accurate and clear view of everything behind your vehicle as you reverse. If you have trouble with parallel parking, then this car accessory will be your next best friend and is the best choice for car safety and reverse driving. The 4.3 screen being built right into the rearview monitor also lets you see what's coming in front, allowing you to easily notice incoming cars and people. Other excellent features include an additional Video IN for other video devices such as a car DVD player, GPS navigator, as well as built-in loud speakers for the perfect media experience in your car. You definitely won't be complaining when stuck in traffic - just load up your favorite movie! The easy-to-install design and build will also fit in almost any make or model of car and makes for a great car upgrade at a low, affordable price. 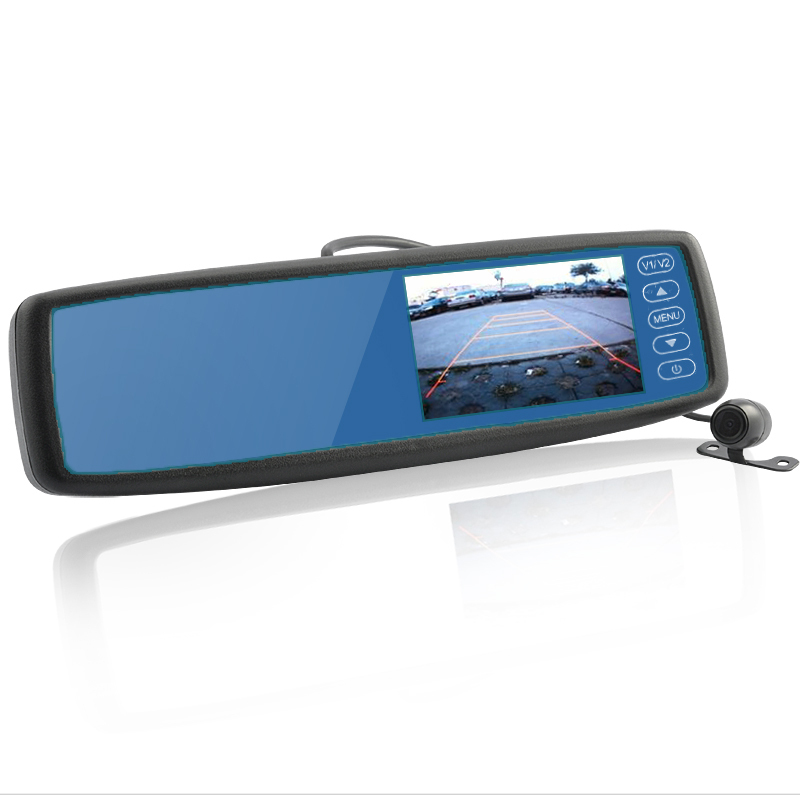 This Car Rearview Mirror with Built-in 4.3 Inch Monitor and Camera is a great car upgrade and easily installed in almost any make or model of car. Available at a factory direct price from Chinavasion, order yours now and start making your drive just a little bit easier and safer.